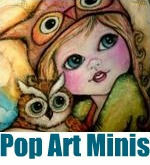 Pop Art Minis: Paint Party Friday! D is for Dolls And A Doggie Too! Paint Party Friday! D is for Dolls And A Doggie Too! 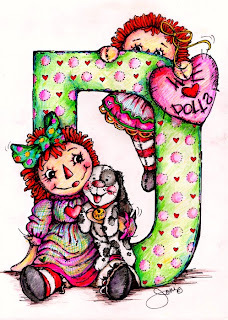 The mixed up A,B,Z's continue with Letter D is for Dollies and a Doggie too! Wide eyed rag dolls best friends for you. Closeups and the Big Reveal...so what do you think? Z M J O and now D...what letter next...Toss a suggestion to me! Shared over at the creatively awesome Paint Party Friday linkup! Oh wow, is that ever wonderful! It takes me back to my Raggedy Ann and Andy days. :) I love the details and the color. There is so much dimension and life in your work! Wonderful series. Happy PPF! So cute! I used to love my Raggedy Ann doll my mom made for me. Love the details and the doggie, too! What a terrific blog you have. So vivid and just beautiful. Love your work, it is unique. Great details on all. Happy PPF! Very fun and colorful. :) Love it! 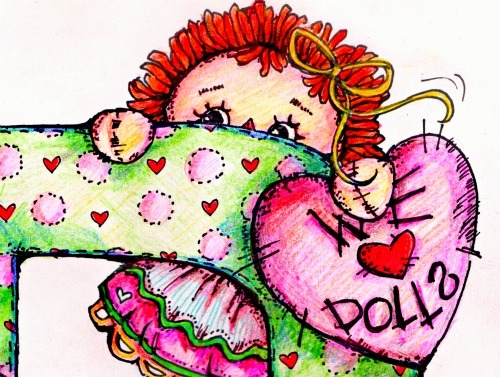 Raggedy dolls! They are so cheerful, dog and all. I will be back to see more letters. Beautiful new piece Joni....when I have more time I will have to tell you all about my Raggedy Anne doll!!!! 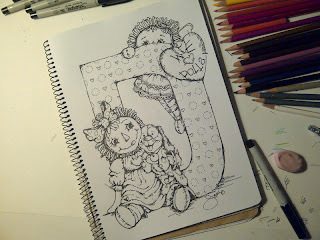 And Joni, D is for delightful and for 'dorable!!! I love the subtle movement you've shown as well as the beautiful array of colors. Delicious and sweet, very nice. Just adorable, bright, happy and so awesome!!!!! I'm excited, what a cute creation, love how you combined all details with the letter!Perfect coloration. Doll love for sure!! Pretty colors, with a great verse! Such a joyful blog!! Happy ppf! I so enjoy the way you share the process of your work, I feel like I'm right there with you as you're painting! 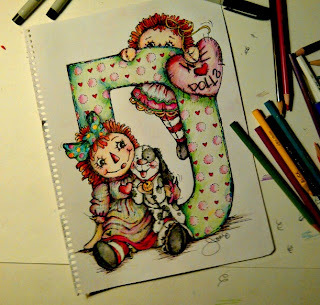 I love your "D" painting, awesome composition and the colors are so vibrant....also REALLY love the doll climbing up the back of the D- gives such movement to the overall piece. Adorable! I love how you've shown the steps taken to achieve such a fine, finished piece. You have some serious talent! Om gosh these are super cute. I just love your work, honestly so cute!! Are you going to make Andy next? Fabulous! I could shriek like an 8 year old just out of sheer excitement about such cute dolls. What do I think? I think your dolls are adorable! I haven't seen any Raggedy Ann dolls in a long time but they've always been a favorite of mine. You make them look so cute. 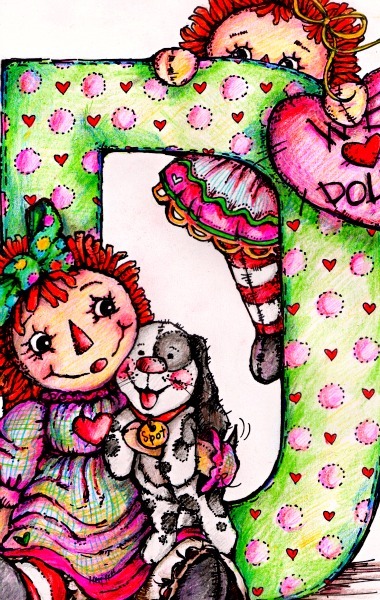 Your Raggedy's are just so cute; love all your little drawings! 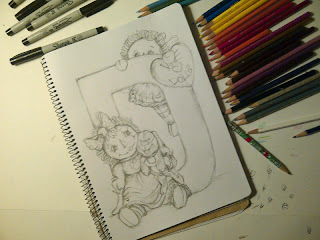 Thanks for stopping by and commenting on my Sunflowers, Happy PPf! No donkeys? LOL! Your doll is adorable! Joni: Your work is crazy amazing! LOVED your 911 tribute with dalmation puppy with firefighter hat and flag, so PERFECT! Off to check out more of your world and grab your link to add to my blog. Happy PPF! So cute! And yep, just like the others, made me remember a beloved Raggedy Ann doll. This is going to be a great series. THANKS EVERYONE for all of the awesome comments and for taking the time to pop by my page! I truly appreciate it and look forward to seeing what all of you have been creating each week too! happy ppf! Oh my gosh, I simply adore this one. Awww...brings back such memories for me as a little girl with my grandparents. :) VERY nice job. 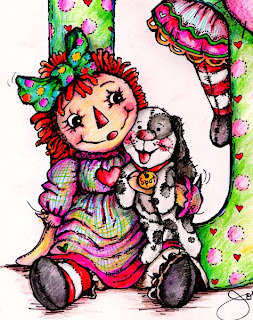 My mom is a doll collector ~ so I know she'd love this one :) There's just something so sweet and innocent about Raggedy Ann & Andy, and you captured that so well! Very lovely! you do very well with drawings and this is perfect for children books! Very very CUTE! Your works are whimsical and charming and are just joyful to look at. Keep up the great work on this series! Happy PPF! Still very much stuck on your work....love it! 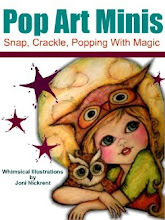 Your art work pulls me in like a powerful magnet, so colourful, whimsical and happy! Thanks for sharing. Wonderfully cute! Your Raggedy Ann's rock! How about R or E? Adorable and cute. A joy to look at! This is darling! I love the expression on the doggie's face, super sweet. Two of my fave things together. I still have the raggedy ann that mom made for me when I was a kid. Wow, this is fabulous! Love the color variation (gradient?). And I also like that you gave progress shots! awwwwww, such adorable painting....I'm so excited to see more art work from you!